Press partisanship returned with a vengeance in the closing days of the 2015 General Election campaign, research by Loughborough University has found. Since the start of the campaign academics at Loughborough have been conducting a weekly real time news audit, lifting the lid on what media coverage the parties, their policies, MPs and their partners are securing. 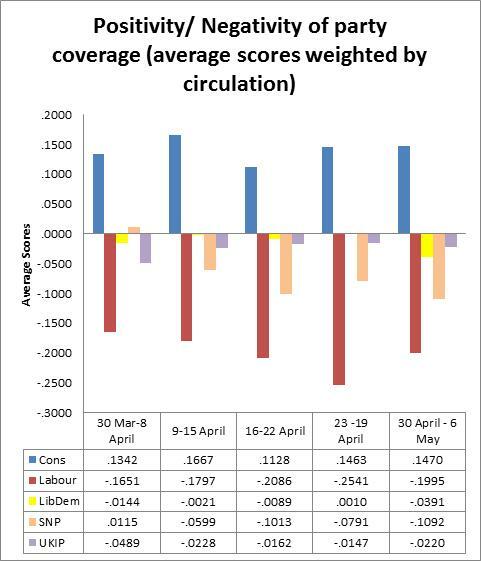 Their results show extensive negative coverage of Labour, with coverage of SNP also become appreciably more negative in the final stages of the campaign. Levels of positive coverage for the Conservatives have remained stable. Professor David Deacon, one of the research leaders explains: “It’s a knife edge election, so there’s no surprise that the knives are out. Press partisanship has returned with a vengeance in this campaign. “The significance of our findings is not so much in revealing the direction of partisanship but in measuring the scale of it and its changing focus. “As elections are no longer two horse races, negative and positive coverage potentially becomes more dispersed. The team’s full research findings and methodology can be viewed here. This Loughborough University press released was originally published here.